Not really sure how else to say it! 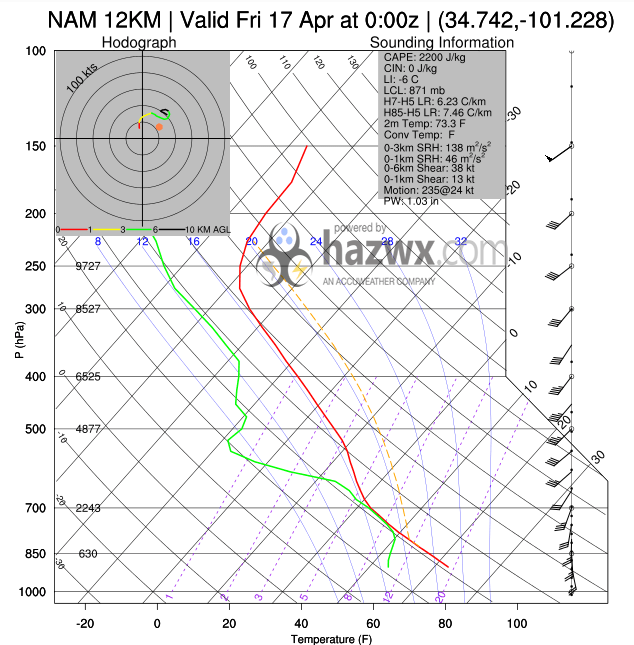 Tomorrow looks like a really superb chase day in the Texas Panhandle. Beyond the chasing for a moment, it’s just been so great seeing substantial rainfall over western Oklahoma into the Panhandles over the last week. Tomorrow is starting to shape up really nicely. After a week of seeing everyone so upset at how crummy the models looked, it appears as though at least a few days of decent chasing are taking shape from this awkward cutoff low that is just sitting out east of the 4 corners region. Sometimes these lows yield a lot of rain, cloudcover and just junk in general, but the trend has been to slow this low down and yield a more favorable evolution for a few days of severe weather. There is a round expected today in western Kansas, but tomorrow, Thursday looks potentially more significant across Texas. Here is a look at some forecast data.. Long story short, the cutoff low will sit west and bring southwesterly flow to the region. The surface response to this system will help bring moisture northward, and usher it into the Panhandle of Texas. With the current forecast of adequate afternoon heating, substantial instability should develop int he afternoon, along and ahead of the dryline that looks to setup along the I27 corridor. Forecast soundings show sufficient shear for supercells. Low level moisture also appears to support low enough cloud bases, for potential tornadoes, in the presence of low level shear. I will write up a more detailed forecast this evening with evening data! Oh, by the way, Friday could be another chase day too! ← Three Years Ago… Tornadoes in Northwest Oklahoma!